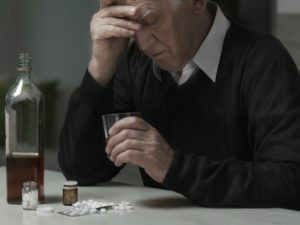 Substance abuse occurs in individuals of all ages, but are especially dangerous in seniors because they are more susceptible to their negative, and potentially deadly effects. As we grow older, our brain becomes more sensitive to mind-altering effects, and our body’s ability to metabolize drugs weakens. This makes it dangerous for seniors to even use drugs or alcohol at all. A very common prescription drug for seniors is Benzodiazepines, which are used to treat anxiety, pain, or insomnia. This drug however, is highly addictive for seniors, making it a very dangerous drug to prescribe for general use. What are some common causes of addiction for seniors? The underlying problem behind substance abuse is the lack of attention it gets as one of the fastest growing health problems in the world, especially among adults over the age of 60. Diagnosing substance abuse problems can be difficult sometimes because other behavioural disorders have the same symptoms (ie depression, dementia, etc). Many individuals treat this is as a private matter, which makes it hard for their family or friends to recognize that they have a problem. Also, many patients are not adequately screened due either to lack of training on the part of physicians or an attitude that alcoholism and addiction aren’t worth the treatment. If you know someone who has a substance abuse problem, whether it be alcohol or drugs, there are some ways you can help. 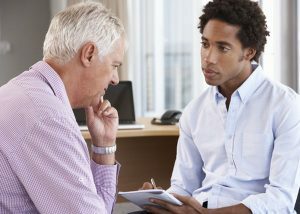 Successful treatments are focused on communicating in a respectful and empathetic manner that take into account cognitive changes associated with aging. Some older victims may not even be aware of the risks associated with using these substances. Studies have shown that many people of all age groups, are unaware of the dangers behind mixing drugs and alcohol together.